My guest on the blog today is Kate Field. Kate hails from Lancashire, but I have very nobly put that aside and rolled out the welcome mat anyway! 😉 Truthfully, she’s a lovely person (even if she does wear the wrong colour rose) and I’m very happy that she agreed to answer my questions today. Over to you, Kate. First question, Kate. How do you go about starting a new writing project? The first step is always to choose a new notebook! I need two: an A4 size for the actual book (I write the first draft by hand) and a smaller one to make notes in. I work on the characters first, and need to know their names and what they look like before I can write; I look on the internet for photos that might match my characters, and save them on a Pinterest board. I don’t do much other planning, other than completing character questionnaires. I prefer to start writing and see what happens! What was your favourite book as a child and how do you view it now as an adult? I can’t choose one favourite. I loved so many: The Magic Faraway Tree books, Winnie the Pooh, the Famous Five, the Flambards stories… There was one particular book that changed my reading habits, though, and I can’t even remember the title! When I was 11, I visited an enormous book warehouse with my primary school headmistress to choose books to give out as school prizes. She told me that I was ready to start reading adults’ books, and picked out one of the Miss Silver mysteries by Patricia Wentworth to be my prize. It was the first crime book I’d read, and it has been one of my favourite genres ever since. Enid Blyton again! She’s definitely one of our most popular childhood writers. And I loved Flambards! What are your writing goals long term and/or short term? When I first stared writing, I just wanted one person to read my book and enjoy it. It still feels incredible that that has happened – more than one person, I hope! I think I’ll always have that goal for every book that’s published. My other great wish would be to see one of my books on the shelf of a bookshop. Both books have been published in paperback but haven’t made it into shops, and I hope it happens one day – it would all seem real then! I love reading crime books, particularly police procedural and detective stories. It must be wonderful to write a series and to be able to develop characters across many books. It must also take a great deal of skill and planning to work out a gripping plot, with twists, turns and red herrings, so I think it would be beyond me! Reading the description, it does sound bonkers, but I absolutely loved that show and in the days before iPlayer, nothing could come between me and the television when it was on. Not heard of that one! Your book is going to be filmed. Name your dream cast. There are three main characters in The Truth About You, Me and Us: the heroine, Helen, and two potential heroes, Daniel and Joel. I see a young Emily Blunt playing Helen. James Purefoy would make a perfect Daniel. As for Joel, when I was writing the book the first series of The Fall was showing on television, and I pictured Joel very much like Jamie Dornan, but without the serial killer tendencies. Of course, Jamie went on to find fame as Christian Grey in the Fifty Shades films, and my Joel doesn’t have those tendencies either! Haha! What thing or things are guaranteed to cheer you up? A good book is the obvious answer, but apart from that, I would say a walk in the sunshine and my cat. The cat has lived with us for almost two years now, and is our first family pet. When she arrived as a kitten it was a shock to the system and I spent a few days in crisis thinking we had done the wrong thing. Now I can’t imagine life without her. When she curls on my knee and purrs, it’s very easy to forget the strains of the day. Aw, how lovely. Sounds perfect, but is there anything you would change about your life? I’m on Facebook and Twitter, but much prefer Facebook. I find it a friendlier place: my timeline is full of conversation and interesting articles, whereas my Twitter feed quickly fills with adverts or people trying to be clever or controversial. Perhaps I’m following the wrong people! 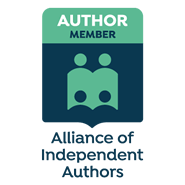 I particularly like the groups feature on Facebook, and I’m part of some interesting, supportive and informative groups about books and writing. I agree. What are the best and worst things about being a writer? The worst thing is the constant worry: whether anyone will buy the book, whether anyone will like it, whether readers who liked the first book will enjoy the second, whether I will get a contract for more books… I had no idea that it would be like this. When I was an unpublished writer, I worried about whether I would ever be published, but I thought that when I was, all the stress would be over! There are two best things. The first is when you become so involved with the characters and world you’re writing about that it seems completely real, and the words pour out. I first experienced that with The Magic of Ramblings: for the first time, I was upset to reach the end, as I didn’t want to leave that world behind. The other best thing is receiving a good review. It doesn’t need to say much: just someone saying they enjoyed reading the book makes all the effort of writing it worthwhile. It’s simple but immediately intriguing. The Hobbit was another of my favourite childhood books, and when I wasn’t reading, I could usually be found playing The Hobbit game on my Commodore 64 computer! Find writing friends. It took me a long time to discover the benefits of this, after writing for the best part of twenty years on my own. I now have a wonderful group of beta buddies, who offer support, encouragement, sympathy – whatever is needed! I recently shared a whole novel with them for the first time, which was terrifying, but the advice they gave was spot on – even though they did pick up the issues that I had hoped to get away with! Absolutely agree with you there, Kate. Thank you so much for joining me today. You can follow Kate on Facebook and also on Twitter, as @katehaswords. Fab interview and so interesting. Enid Blyton launched a million author careers I think…such a fab writer. Good luck with all your books. Oh gosh so do I, what fun those adventures were. I do hope children are inspired by books and the stories and have adventures like we did as kids. Sad if they don’t. Huge fan of KM Peyton and have just ordered the Flambards DVD thanks to Kate jogging my memory. I do still have the books. Great interview, Kate. I used to read Enid Blyton too, but in France the Famous Five were called ‘Le club des 5’ and it was set in Brittany!